Preheat oven to 180°C (160°C fan-forced). Line trays with baking paper. Combine oats, flour, sugar, chocolate and cinnamon in a large mixing bowl. Whisk together the oil and egg. Add to dry ingredients and mix well. Using your hands, form tablespoons of mixture into balls, squeezing firmly. Flatten slightly whilst placing onto oven tray. Bake for 15 minutes until just golden. Remove from oven and allow to cool slightly before transferring to a cooling rack to cool completely. For a variation, substitute half the chocolate with some craisins, sultanas or chopped nuts. Make a life-changing difference with cake! 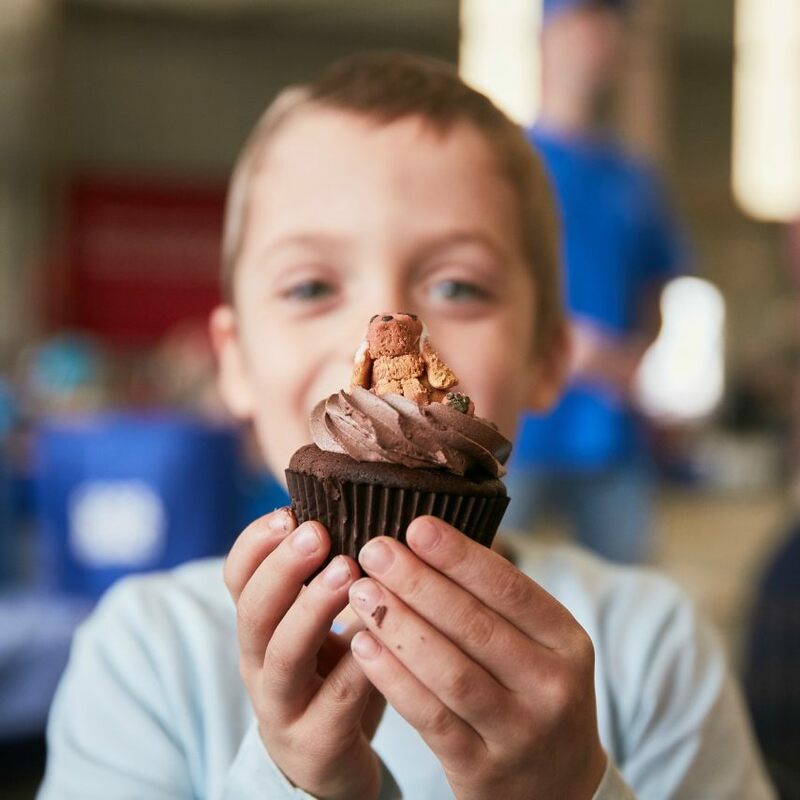 Your baking can help grant wishes for the six kids a day diagnosed with a critical illness. It couldn’t be easier to Bake A Wish - raise money with a simple cake sale at work or with a cosy afternoon tea with friends. Your fundraising will make a huge difference to kids and their families across Australia.